Freedom of speech, expression and information is the most fundamental human right. It reinforces all other human rights, allowing society to develop and progress. The ability to express our opinion and speak freely is essential to bring about change in society. A free society depends on the free exchange of ideas. Nearly all ideas are capable of giving offence to someone. Many of the most important, profound ideas in human history, such as those of Galileo Galilei and Charles Darwin, caused great religious offence in their time (adapted from indexoncensorship). Freedom of expression is not just limited to the individual persons but is also applicable to many areas in society like the press, which in many countries of the world is controlled and/or censored by established powers as a way to manipulate public opinion. Recently the fight against hate speech or fake news is taken as an argument to increase this limitation or censorship, specially in the social media. Closely related to freedom of speech are the right to privacy for the individual, on one hand, and, on the other, the needed transparency of governments, corporations and other institutions in the public domain. The apparent conflict between these two is often used, specially by the powerful, claiming the right of privacy to hide matters that could actually be illegal or even criminal, as is often the case of bank secrecy. EurOpinion considers Freedom of Speech to be essential for a healthy planetary community. That's why it's our second point of attention. 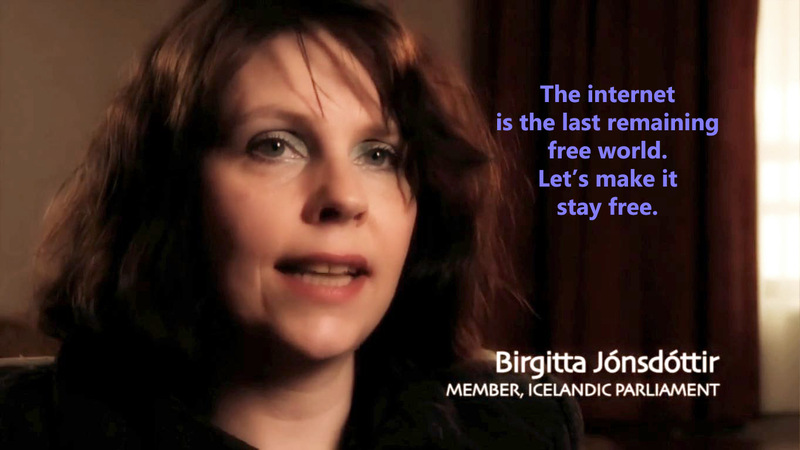 We strongly support IMMI's initiative and Iceland's examplary politics on Freedom of Speech. In fact for this reason we decided to host EurOpinion on Icelandic servers and, as most tangible and final statement, use the .IS extension. We think continental Europa could learn from Iceland.